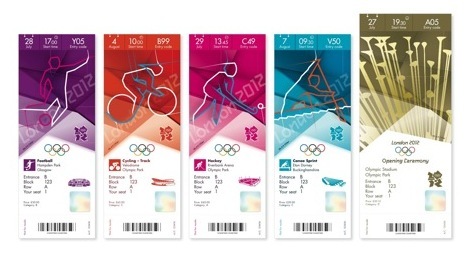 The designs for the London 2012 Olympic tickets, created by Futurebrand, have been unveiled. 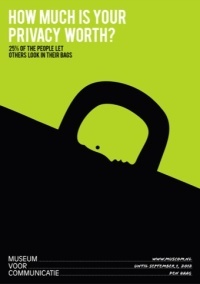 The designs use the Olympic pictograms, created by Someone, as well as a different colour to reflect different venues. Individual tickets have been created for each different event, including the opening ceremony. The design also includes security features including a hologram, a barcode and the name of the booker. The Olympic tickets are being delivered to buyers this week, and the Paralympic Games tickets are going on sale from today.